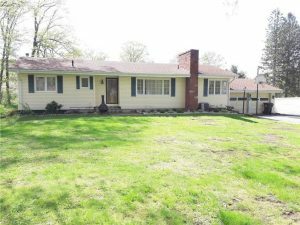 Looking for a three bedroom, 2 full bath, spacious ranch? Well look no further. This move in ready ranch has living room and family room on the main floor and a full finished basement. Enjoy the updates that include new flooring in the dining room, kitchen, and laundry room. Nicely remodeled main floor bathroom with tub and stand up shower. Enjoy the concrete deck off the back of the home overlooking a spacious fenced-in back yard.